“Two years ago, the debate over glyphosate’s link to cancer took a surprising turn when the European Food Safety Authority’s (EFSA) infamously rejected the World Health Organization’s International Agency for Research on Cancer’s March 2015 classification of the weedkiller as a possible carcinogen. “However, new reporting from the Guardian reveals that the European agency’s recommendation that the chemical is safe for public use was based on an EU report that directly lifted large sections of text from a study conducted by Monsanto, the manufacturer of glyphosate-based Roundup. 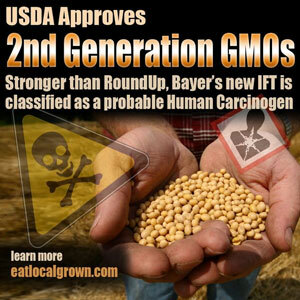 “The particular sections cover some of the biggest questions about glyphosate’s supposed health risks, including its links to genotoxicity, carcinogenicity and reproductive toxicity. “The revelation comes as the European Union debates whether it should extend its licensing of the world’s most popular herbicide. As it happens, the EFSA provides scientific advice to the EU and plays a key role in the authorization of thousands of products that end up in Europe’s food chain, including genetically modified organisms, pesticides, food additives and nanotech products, according to Corporate Europe Observatory, a non-profit watchdog group. This entry was posted in Governments-Against-Consumers, Herbicides and tagged carcinogen, glyphosate, monsanto, pesticides by GarryRogers. Bookmark the permalink.